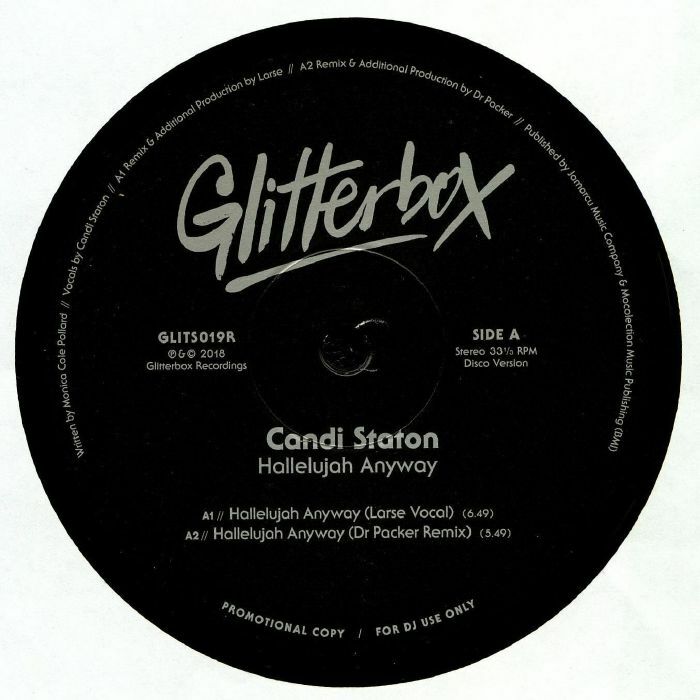 Candi STATON Hallelujah Anyway vinyl at Juno Records. Candi Staton's gospel-fired "Hallelujah Anyway" has a long and complex history. Over the years it has appeared in countless different forms, with this Glitterbox edition pairing two 2012 reworks with a couple of fresh rubs. In the latter category you'll find a deliciously bouncy and loved-up interpretation from Dr Packer that sounds like a late '80s Frankie Knuckles remix, and a "Classic Club Vibe" version by Moplen that dips the tempo and doffs a cap to early '90s New Jersey garage and gospel-house. Also worth a listen is Frankie Knuckles' luscious 2012 "Directors Cut Signature Praise" version, while there's also a fresh airing of Larse's chugging and dreamy deep house take.